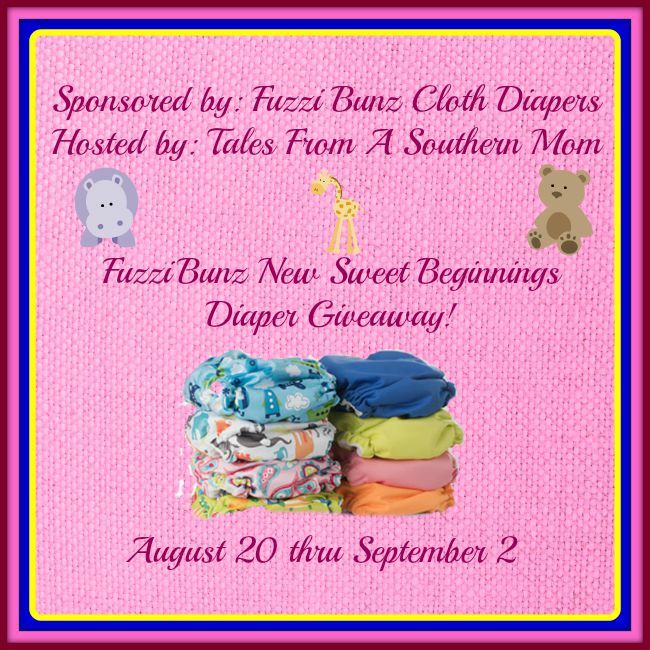 The FuzziBunz® story began in 1999 when a young mother’s pediatrician insisted that chemical-laden disposable diapers caused her son’s constant diaper rash. Disappointed with her search for a reusable diaper system that would fit into her busy life as a new mom. Old-fashioned cloth diapers were hard to use and a mess to launder since the product had not been changed in decades. Her desperate journey to ease her son’s diaper rash led her to invent the originalFuzziBunz® cloth diapers in 1999. Little did she realize at the time that her cloth reusable baby diapers would be an invention that was the catalyst that would put the entire modern cloth diapering industry in motion. You can read the review on FuzziBunz Diapers Here. Good Luck all! Previous post: What would you do in a vehicle emergency? I think Turtle Time might be my favorite! it’s totally cute, and I could see using on both Genders-which I’m not finding out the gender until birth! Fly boy and In the wild are probably my favorite two! I love the ‘In the wild” print! Belle print is my fav! I love the Belle print! I like Belle and Turtle Time. I love chevron- I like that the lines aren’t perfect. My favorite print is In The Wild! I think a lot of them are too cute. I love Chevron and Fly Boy, but I think Turtle Time is my favorite! In the Wild! It’s so cute! Turtle Time is my favorite print! I love both Fly Boy and In The Wild. I’d have a hard time choosing one or the other as my favorite. I like the plane one the best. I’might in love with the chevron print! My new little man coming in October world look handsome in it! I can’t decide between Chevron or Fly Boy, I love them both! I like the fly boy print! I love “In the Wild”! I love the fly boy print – we’ve always wanted an airplane diaper! Oh my gosh, TURTLE TIME!!! Love love love LOVE Sundance!!! I love the In the Wild print! My favorite is the chevron! I love the in the wild print! So fun and could be used for a boy or girl!